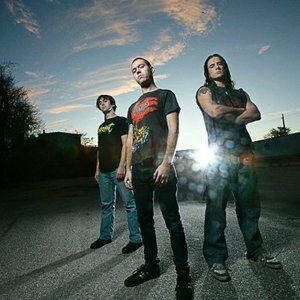 Revocation is a Thrash/Death Metal band from Boston, MA, formed in 2006 from Cryptic Warning. They combine the power and aggression of the old-school thrash metal style with the twisted musicianship of technical death metal. After 2 demos, they released their first full-length album, "Sanity's Abberation". A unique display of technical prowess and ferocious energy which came out in 2005. They released an EP the following year entitled "Summon the Spawn" which was followed by their next full-length, "Empire of the Obscene" in 2008 by Relapse Records. The thrashers continued their face-melting style to positive reviews releasing two more full-length albums "Existence is Futile" (2009) and "Chaos of Forms" (2011) and were featured on a Relapse Records Label Showcase album in 2012. 2010 they added touring guitarist Dan Gargiuolo and hit the world touring seen. After playing 150 shows in 13 countries, the group entered the studio to record Chaos of Forms. With new tracks such as 'No Funeral' 'Conjuring the Cataclysm' and 'Cretin', we can see that this band shows no intention of slowing down; both literally and musically.